While it’s always thoughtful to deposit your spare change into the red buckets outside grocery stores during the holidays (the bell ringers are a persistent folk) this kind of charitable gift can sometimes feel a little disconnected. Where will your quarters end up? Will they do good? That may be why fundraisers like Toys 4 Tots and Adopt-a-Family are always popular—in lieu of cash we are asked to donate tangible goods like toy trucks and dolls, warm sweaters and new shoes for those in need—and we can picture them all wrapped up under someone’s tree, waiting to be enjoyed. Maybe this is why Santa chooses to operate as such. One of the newest ways to give directly to the source is through DomesticShelters.org Wish List program. Do-gooding individuals are asked to purchase online the items most wanted by a domestic violence shelter of their choosing, then those items are instantly delivered directly to the shelter. It makes giving easy, and the effect of giving assured. In essence, instead of donating dollars, you can donate diapers. Instead of pennies, pillows. In lieu of Benjamins, blankets. You get the idea. And one company in Phoenix, Ariz., figured out how to take giving to the next level, involving their entire staff of nearly 50 to donate on a large scale to one lucky shelter. “I think this was our favorite thing we’ve ever done,” says Dana Kajtezovic, senior vice president of operations for Vertical Measures, the digital marketing agency that, last summer, raised more than $6,000 they then used to purchase Wish List items for a nearby domestic violence shelter. “We bought all the stuff they needed off their list,” says Kajtezovic. The haul included close to 40 mattresses, a new seating area for visitors and so much more. Vertical Measures joins other companies, like Amazon Business, who held a similar fundraiser in conjunction with DomesticShelters.org for New Beginnings in Seattle. Kajtezovic says companywide fundraisers in the past had “been a bit lackluster. Five or six people would show up.” They wanted to do something different and were originally planning a back-to-school drive when one employee volunteered the fact that her daughter had just escaped abuse. “She asked if we could do something with domestic violence instead,” says Kajtezovic. So she called up a former colleague, Chris McMurry, the founder of DomesticShelters.org. McMurry and colleague Ashley Rumschlag decided to pay a personal visit to the company and talk about domestic violence. They spoke for an hour. "There were people in the room crying. The impact that it had was amazing—four or five women came forward after and said they’d been involved in similar situations in the past,” remembers Kajtezovic. McMurry suggested their funds go to Sojourner Center, a shelter Kajtezovic says she’d never heard of before that moment. The center, in operation in Phoenix since 1977, is one of the largest domestic violence shelters in the U.S. They help an estimated 10,000 individuals in the community each year who are dealing with domestic violence, and provide shelter to 1,000 of them, with almost half of the survivors being children under age 6. “One of the things with domestic abuse, as opposed to something like a back-to-school drive, is there’s less awareness about it.” Kajtezovic says the crash course in how prevalent—and close—the problem really is was exactly what staff needed in order to feel energized about giving back. To kick-off the fundraiser, staff broke off into teams, each responsible for raising as much money as they could. Each team had a unique CrowdRise.com web address to track their fundraising progress, which they used to ask for donations from friends, family and through social media. “It was healthy, fun competition,” says Kajtezovic. At the end, the top team was awarded a trophy and each staffer received a purple ribbon to pin on their desk, the color of the domestic violence movement. The $6,225 raised was immediately spent through Sojourner Center’s wish list. “Sojourner Center was overwhelmed with gratitude for the donation of practical personal and household items after Vertical Measures raised more than $6,000 to be used to fulfill critical needs from our wish list,” says the center’s Executive Director Carrie Borgen. “With their support, we were able to support our Crisis Shelter and Transitional Housing residents with new underwear, bedding, pots and pans, dishes, hygiene items, and more, all in conjunction with Domesticshelters.org. Kajtezovic says hearing about the impact the money was going to have on the shelter got them wanting to do the fundraiser on a yearly basis. It’s easy to set up a fundraiser like this at your place of employment. 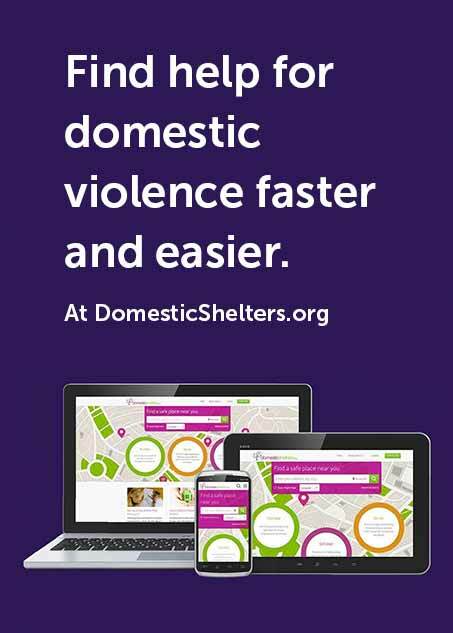 Just contact info@domesticshelters.org and someone will assist you in getting started, or if you like just click the “Join” button below the "donate" button to get your business fundraiser launched. You may also want to visit our Wish List page and find a shelter near you that’s requesting help. If you’re a survivor and would like to start a personal fundraising page, you can also join the #SurvivorsHelpSurvivors campaign and also tell your story. Sharing your story is a great way to educate people and help those still suffering. The top fundraisers will have their survivor stories featured in an article on DomesticShelters.org that will be shared to our readers all over the world. Why It's Important to Say "Died By Domestic Violence"